Often, Hanukkah and Christmas is celebrated during the same liturgical time. This reflection can invite us to listen to how these two feasts echo one another. Light… for Hanukkah is celebrated with lights, eight small flames that are lit on each of the feast’s eight days. Already Flavius Josephus called Hanukkah “the lights”, because the victory of the Maccabeans manifested the victory of light over darkness; and St. Jerome takes up this interpretation for his own purposes in his commentary on Jn 10:22, when he says: “the light of freedom”. In rabbinic tradition, it is the victory of the Torah (“a lamp for my steps, a light on my path”) over the darkness of the Greek empire’s paganism, which forbade the Torah. The Temple… for Hanukkah remembers the “dedication” (which is what the word “Hanukkah” means) of the Temple after its desecration by the Greek empire (cf. 1 Macc 4:36-61 and 2 Macc 10:1-6). The Jewish commentaries on this feast strongly emphasize the significance of the Temple as God’s dwelling place in the midst of God’s people, whence the great importance that was given to its purification and renewed dedication. The Messiah… for Hanukkah is a messianic feast. The Emmaus story in Luke 24 confirms this by having Jesus join the two disciples who are on their way to a very precise place: Emmaus. 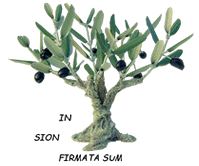 They are going to a place of remembrance, namely that of the victory of Judas Maccabeus (cf. 1 Macc 4). That Judas did deserve to be a true messiah. But this Jesus was not capable of delivering them from the Romans. They are disappointed and very sad. And Jesus causes them to turn around both physically and spiritually: they too pass from darkness to light. Moreover, let us note that Jesus is asked the messianic question (cf. Jn 10:22-23) in the context of the feast of Hanukkah. The prophetic reading for the feast (Zech 2:14-4:7) also underlines this messianic aspect by introducing the “two anointed” (4:11-14): the one represents religious power (Joshua, cf. 3:1-8), and the other political power (Zorobabel, cf. 4:6-10) – two powers that should never be confused – and “my servant sprouts” (cf. 3:9). 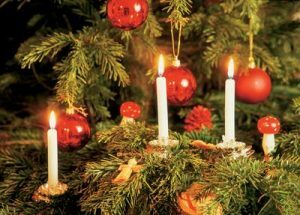 The dates of Hanukkah and Christmas… for their relationship is not obvious. The origin of the date for the feast of Hanukkah is controversial: was it linked to the winter solstice, the time of year when the days begin once again to get longer, whence the importance given to light? The origin of the feast of Christmas is also complex: is there a connection to the “Mithra” cult, Mithra being a kind of mediator between heaven and earth, whose cult included invocations to the sun…? There was a need to find a date for the birth of Jesus, nine months after his conception on March 25… In any case, the first feast celebrating the manifestation of God become man was Epiphany and not Christmas. The emphasis was not placed on a date of birth but on the fact of the incarnation. How can we be associated with the Jewish people during this week of Hanukkah and Christmas? Let us remember that Christmas does not claim to be a historical feast; we are not celebrating “the anniversary of Jesus”. 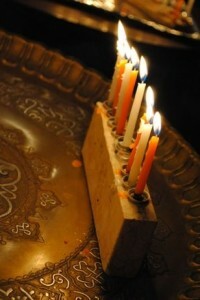 Even if its date wasn’t chosen because of a connection with the feast of Hanukkah (this connection could have been the theme of light together with the winter solstice), the two feasts do shed light on one another and give us messages that are not contradictory. Is not Jesus God’s dwelling place in this world, the divine light that drives out our darkness, the Messiah who makes no political claim, the Savior of the world?! When we celebrate Christmas, why don’t we remember these two feasts and welcome Jesus, the Messiah, who did not come to abolish the Torah and the Prophets or the Jewish feasts and their traditions. He came to fulfill the history of salvation while leaving for us as humanity the space of what is not fulfilled, that of “marana tha”, which we can say with the Jewish people with a hope that is all the greater because we know Him who has already come and whose coming in glory we await. With the same love, that he come or come again!